4 year Anniversary Blog Hop Winners! Have you seen our NEW stencils? You can see the four new designs here. 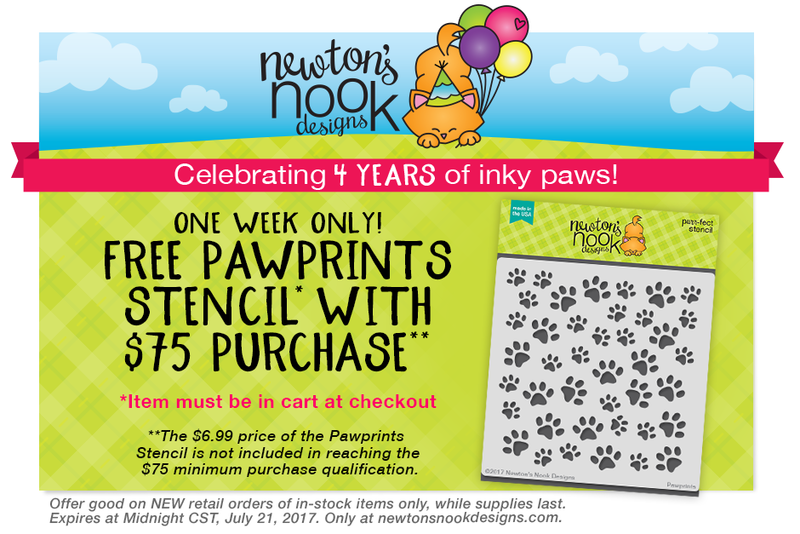 Plus, this week only we are offering the Pawprints Stencil FREE with a $75 purchase! (the item must be in cart at time of checkout to receive discount). Congratulations to all the winners, this was a fabulous hop! Oh wow, thanks! I am doing the happy dance now! Congrats to the other winners too! OMG!...I was looking for this post 3 days now and I almost missed it!...So glad I saw it in time...Thank you so very much!! !Congrats to the other winners too! Lol, so funny just noticed last night I won! Oh well, lol! Been on vacation with my son, finally had some downtime and was looking at all the posts I missed, sure I'd fun to see your name up there! I squealed and my husband came running, I said check it out! Again, Happy 4th Anniversary! And look forward to many more! cheers!